With the weather warming up here recently, we are really getting back into smoothies and smoothie bowls! Although it seems like combinations are endless, we really get surprised sometimes about how unique the flavours and smoothie bowls can be! Smoothie bowls are a great little morning snack or afternoon pick-me-up we love to make when we’re in a rush or to refresh ourselves on a hot day instead of some ice cream! This beautiful Pink Goodness one in particular is a beautiful piece of food art that is definitely Insta-worthy! 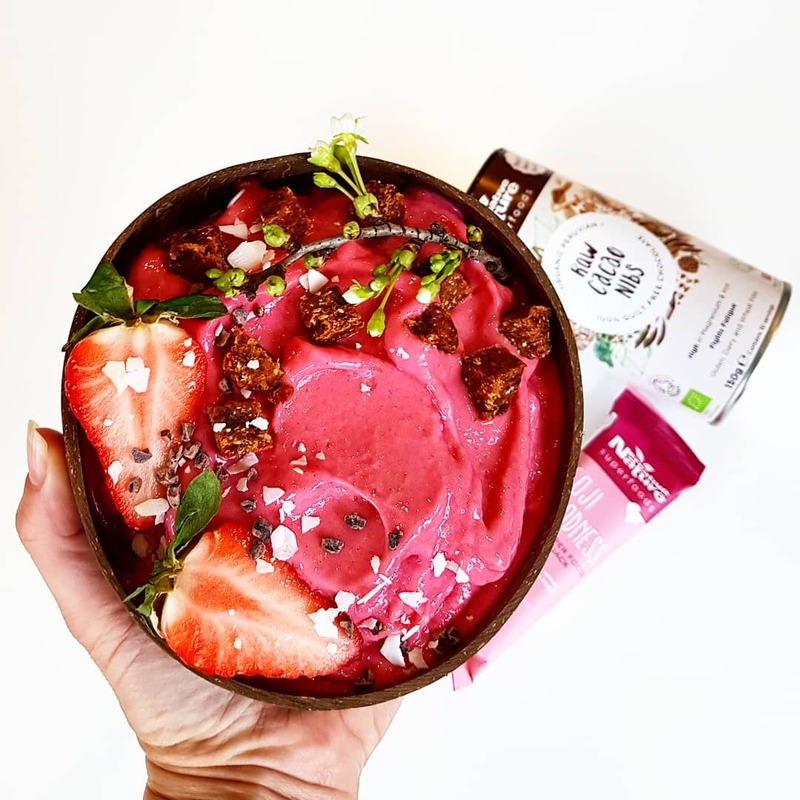 🙂 Topped off with Paula’s favourite cacao nibs and our best-seller Goji Goodness flapjack, this smoothie bowl is definitely very unique and worth a try! Place all ingredients except the cacao nibs and goji goodness bar into a blender and blend until smooth! Thank you to memysmoothiesandlife for the recipe!